Holiday apartment in the center of Ramat Gan, two bedrooms, air conditioned and equipped. Suitable for couples or family. 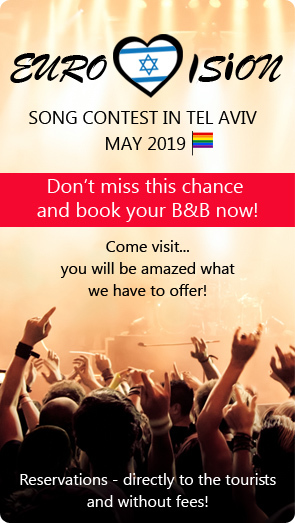 The Rimonim Optima Hotel Ramat Gan is a short drive from both the Diamond Bourse business area and the Azrieli Center, a large shopping centre in Tel Aviv. Located next to Rehovot Science Park, this hotel offers a restaurant and free fitness centre. All air-conditioned rooms include an LCD TV with cable channels. WiFi access is available free of charge. Rooms at Leonardo Boutique Rehovot have contemporary furnishings. A buffet breakfast is served daily. The property has a Synagogue on site which can be used with prior approval from the front desk staff.